Looking for the perfect baby shower gift? We now offer two gift-wrapped gift certificate packages! This is a wrapped gift certificate with a newborn cotton diaper and baby diaper pins. 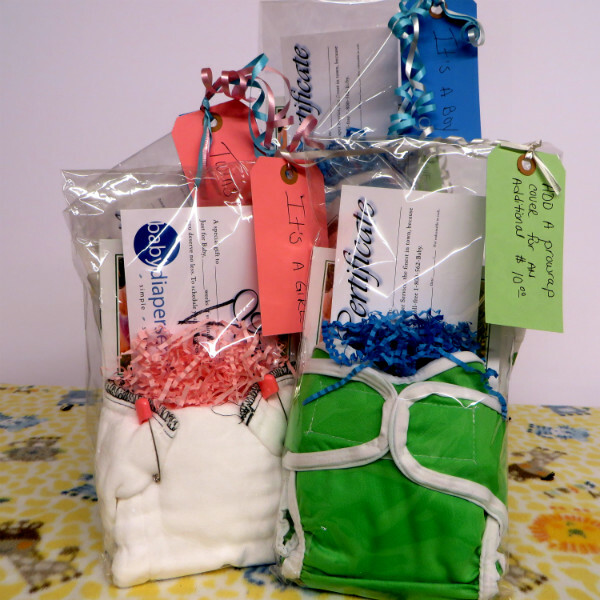 We also have a package that includes a diaper wrap. This package is in addition to the amount you wish to purchase as a gift certificate. After buying this package we will contact you about the amount for the gift certificate, or you can give us a call.